DFRduino M0 is the only Arduino main board that supports 5V standard Logic level and adopts ARM Cortex-M0. [null It is unsatisfactory to make projects with most boards in the market. 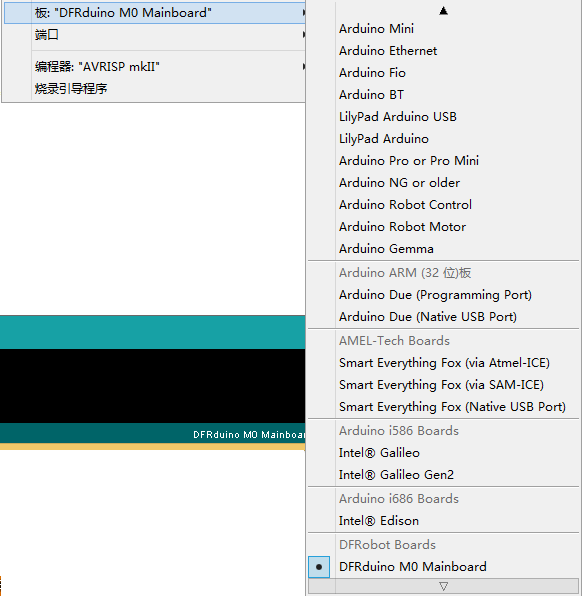 To be specify,] traditional Arduino UNO is lacking of pins, low-performance… Mega boards are better but too expensive; Arduino ZERO boards are not compatible with 5V power supply device. Luckily, DFRduino M0 is a great soul solves all. DFRduino M0 selects 32 bytes Nuvoton SCM (Single Chip Micyoco) of high-performance as the core. 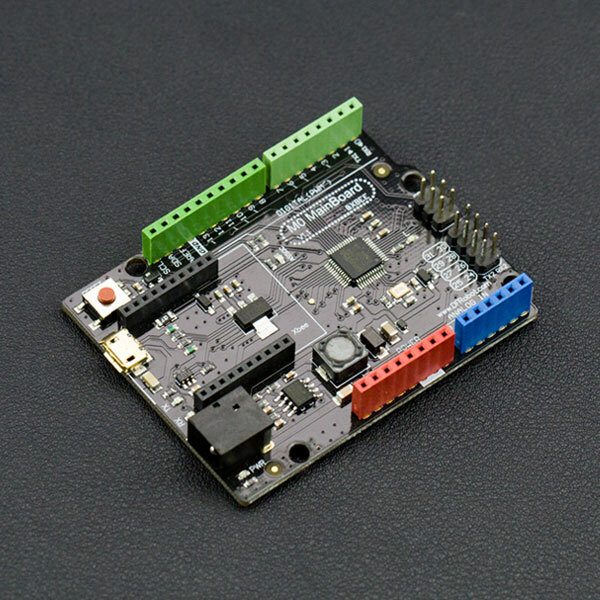 Besides built-in ARM Cortex M0 infrastructure, DFRduino M0 supports 5V Logic level, equipped with 1 USB port and 2 serial ports, providing 31 digital pins (parts AFIO) and 6 analog pins, offering more IO resources. Moreover, DFRduino M0 is compatible with Arduino Leonardo package/encapsulation and the clock speed is 72MHz. Additionally, DFRduino M0 supplies another IIS interface, supporting play &record wav files. Once put DFRduino M0 with advanced IIS chip, professional HIFI audio is available. 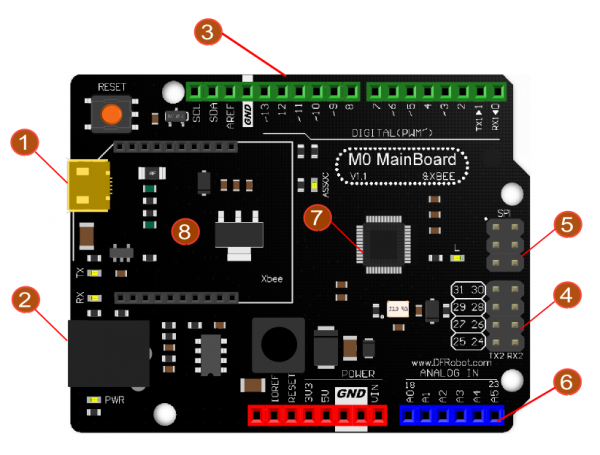 NOTE: Different from official Arduino M0, DFRduino M0 adopts a unique chip solution which should be installed independently. It supports Windows, Linux and MAC. The default IDE version should be 1.6.0 and above, other versions should be modified according to FAQ instructions. 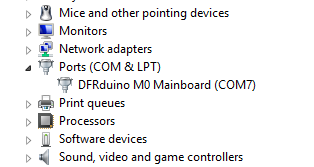 Connect M0 to your computer, and you will find an unknown device in the device manager. Update Driver Software --> '''Browse my computer for driver software '''. 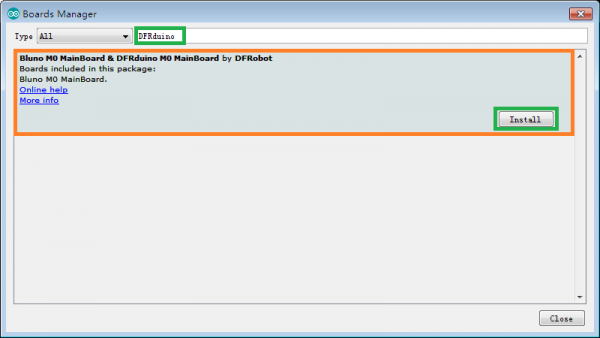 Or you can download it here directly: [Click to save](https://raw.githubusercontent.com/DFRobot/DFRobotDuinoBoard/master/DFRduino M0 MainBoard.inf). Sometime you need disable the digital signature. Just like Arduino Leonardo, M0 has USB Serial Port and Hardware Serial Port. 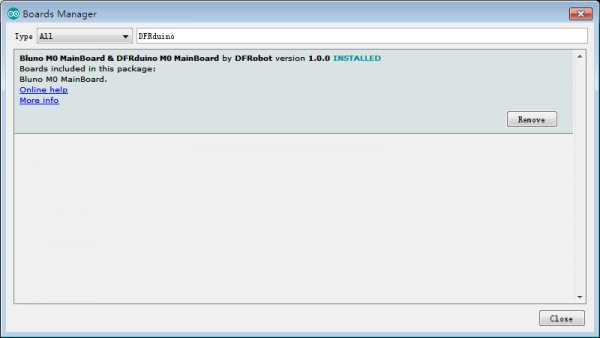 Get DFRduino M0 Mainboard from DFRobot Store or DFRobot Distributor.